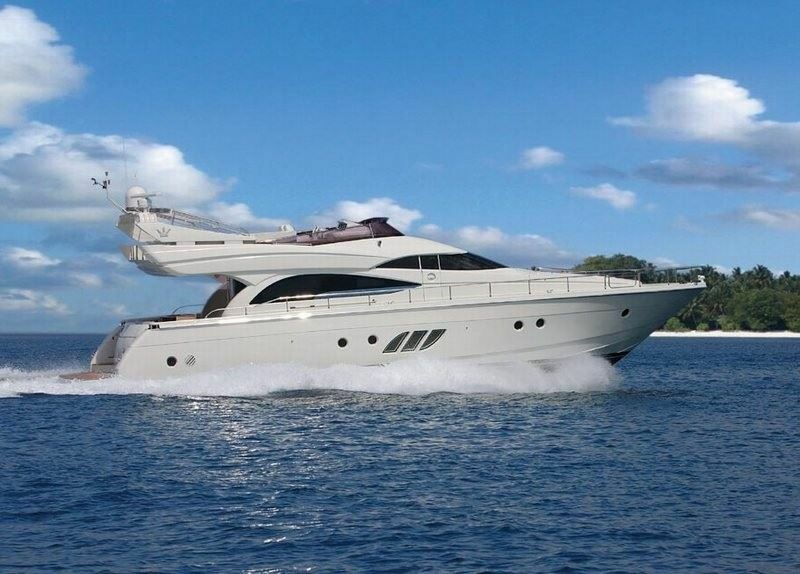 Luxury motor yacht DISCOVERY is an Italian Dominator design measuring 19.76m (64.8ft). 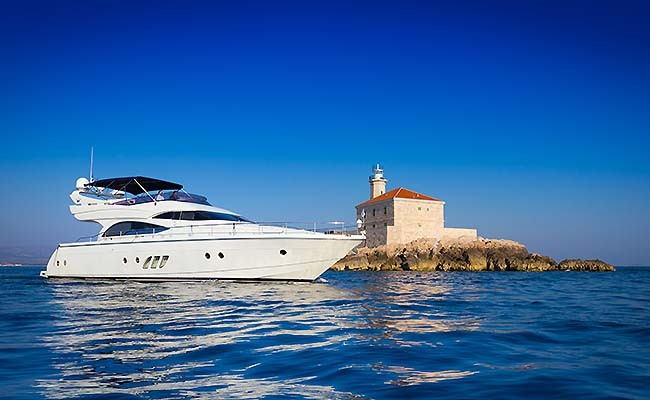 M/Y DISCOVERY offers crewed yacht charters in Croatia for up to 6 guests; she has a permanent crew of 2. 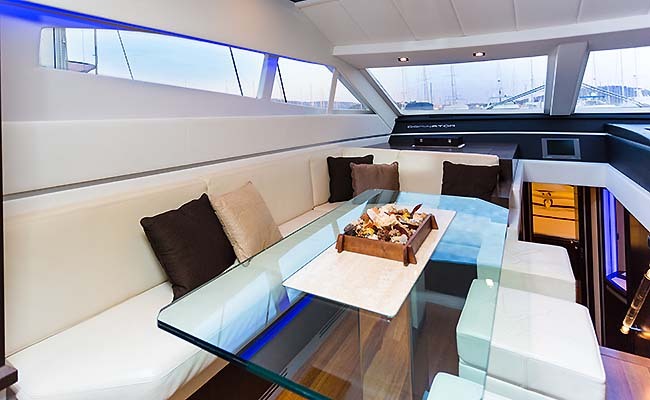 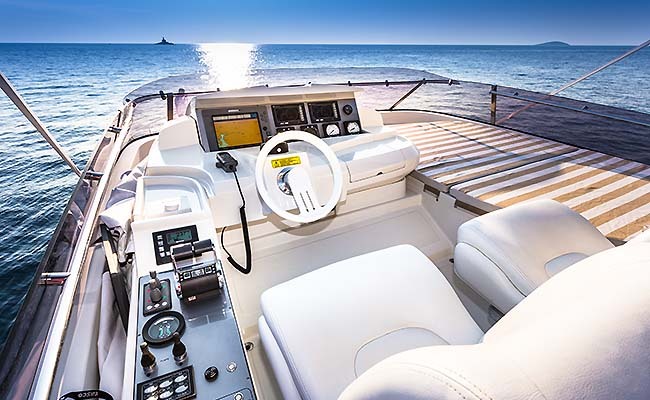 The light airy interior design aboard the Dominator 62S yacht DISCOVERY is by Nuvolari & Lenard and features a contemporary elegant décor. 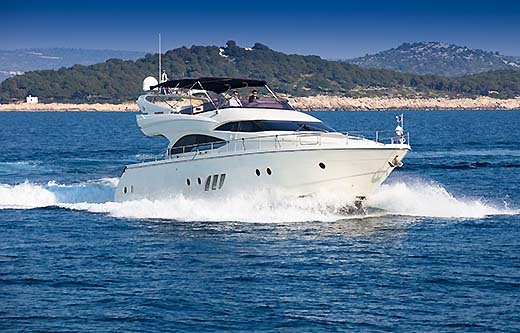 The salon boasts warm wood floors and neutral soft furnishings, 2 apposing sofas and a coffee table seat guests comfortably, while panoramic windows bring in ample natural light and create a sense of openness. 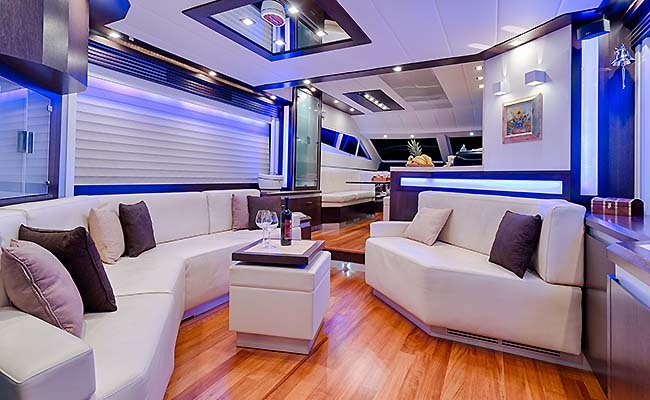 Forward of the salon is the formal dining area, with a clear glass table and seating for all 6 guests on the port side, and a fully equipped galley to starboard. 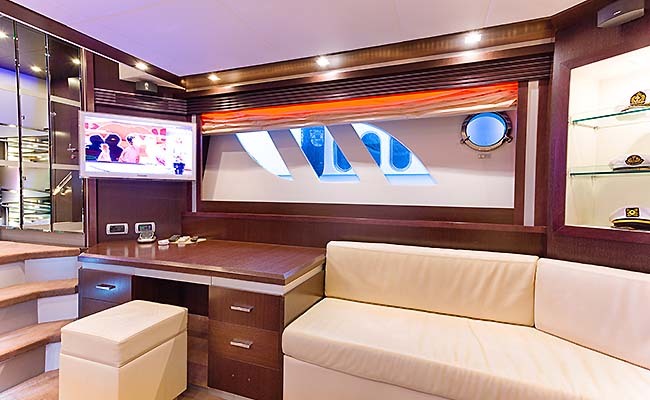 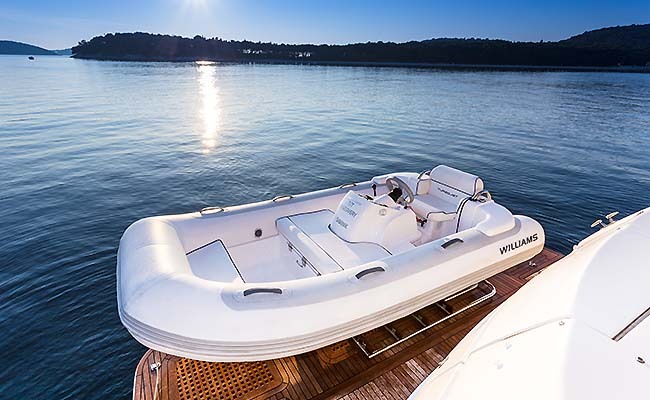 Guest cabins are below decks, offering 2 double cabins and a twin, convertible to double cabin. 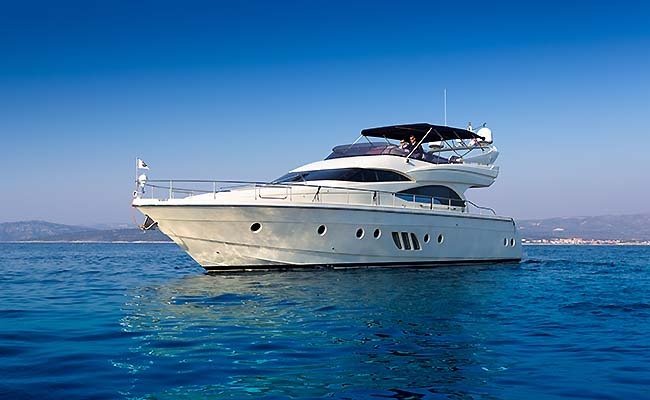 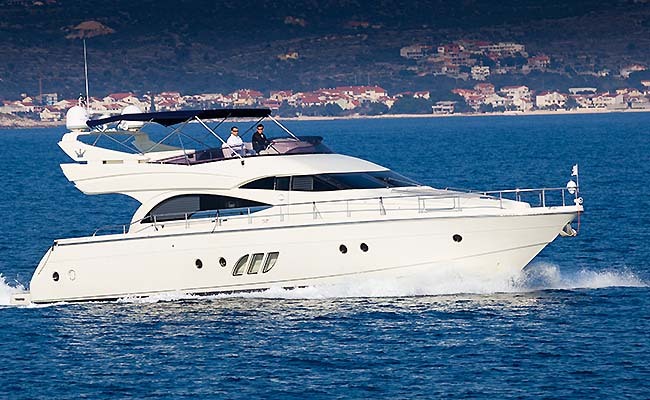 M/Y DISCOVERY is fully air conditioned throughout. 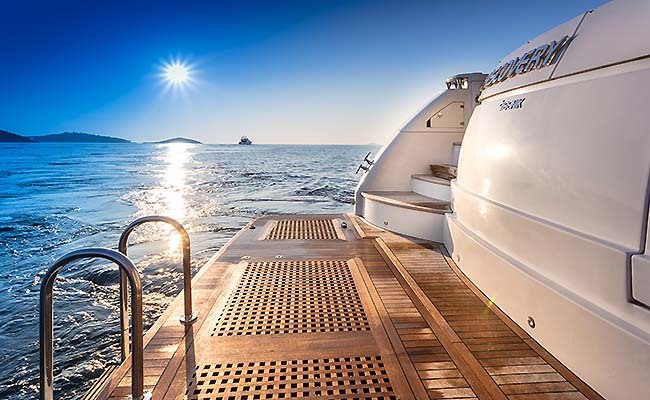 Charter yacht DISCOVERY enjoys plenty of exterior deck areas to relax. 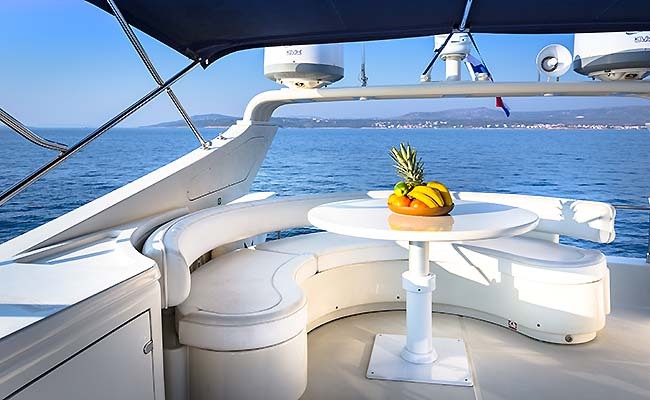 The aft deck offers seating, an alfresco dining option and direct access to the salon. 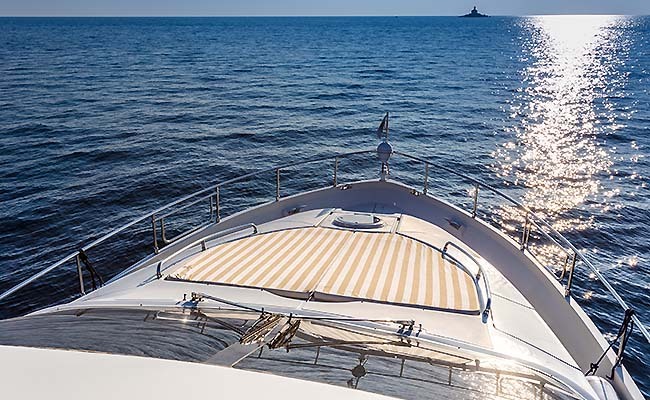 Further aft, an extended swim platform is ideal for guests wishing to take a refreshing dip in the sea. 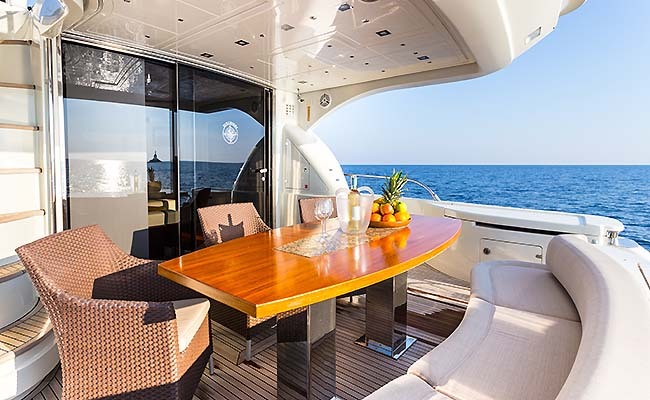 360° wrap around decks lead to a double sunpad on the foredeck, while above the main deck, the flybridge boasts further sunning and an additional alfresco dining option. 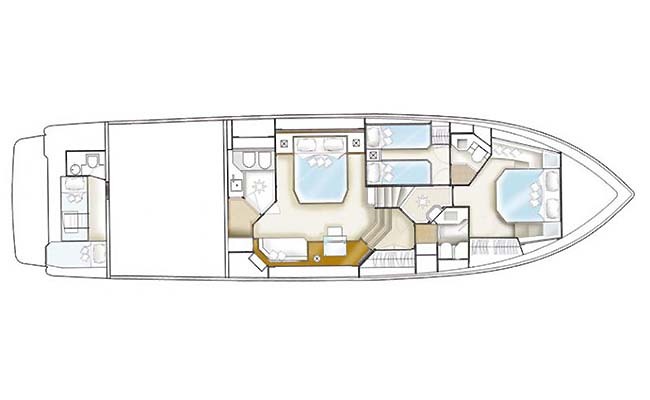 Powered by 2 x MAN 1115hp engines, crewed charter yacht DISCOVERY cruises at 25 knots and can reach top speeds of 32 knots. 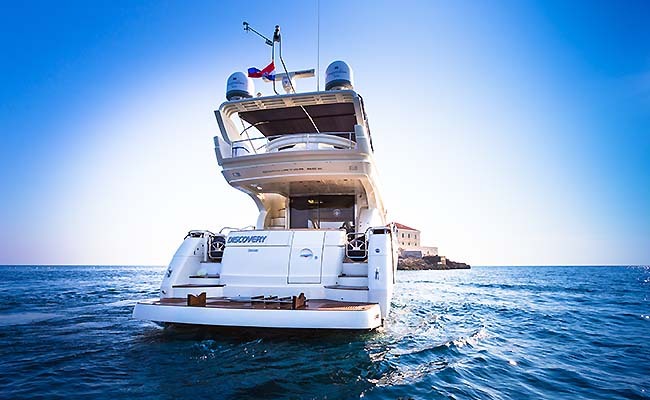 The DISCOVERY motor yacht has accommodation for up to 6 charter guests, in 3 stylish cabins, each with private en-suite facilities. 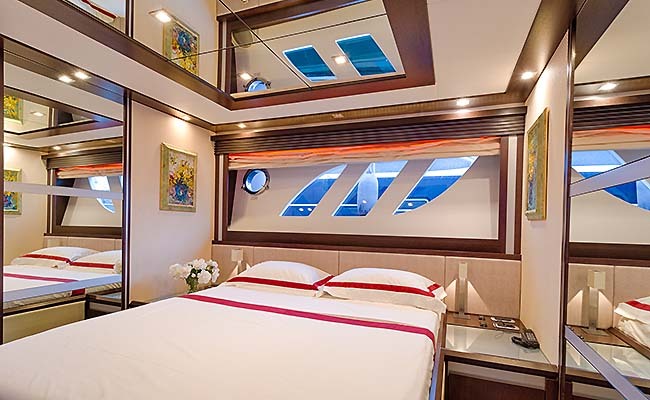 The master stateroom is amidships and full beam of the yacht, with a king size bed, vanity and comfortable lounge area. 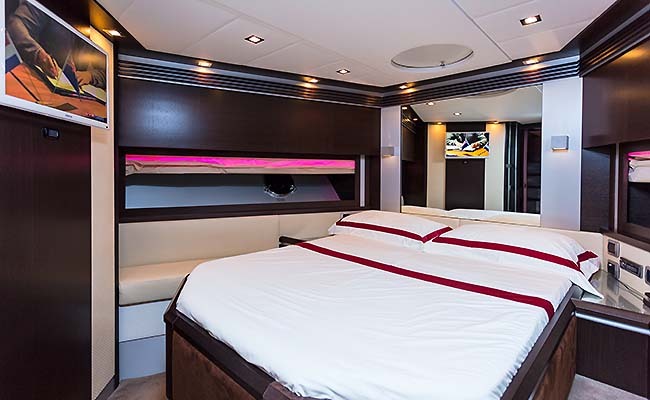 A VIP cabin is forward and full beam of the yacht, with a queen size bed. 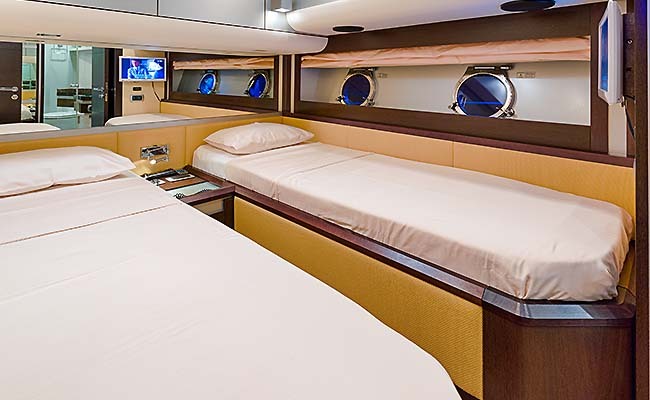 The twin guest cabin is on the port side and offers 2 side by side single beds, which can convert into a double bed if required.